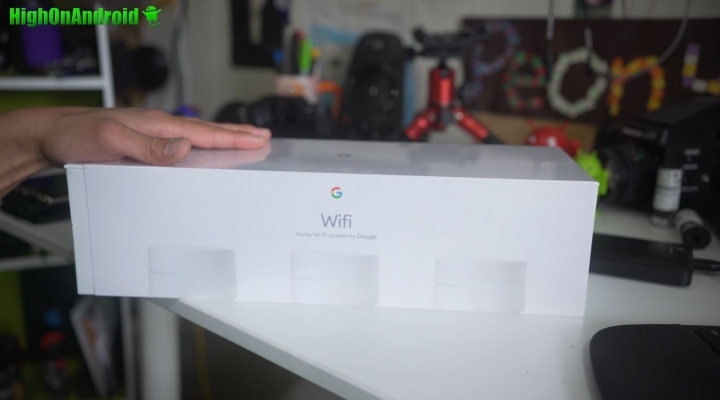 Google Mesh Wifi vs. Linksys Velop Review & Comparison! About a month ago, I installed a new wireless mesh system using Linksys Velop. Well, I also installed Google Mesh WiFi over at my parent’s house and was surprised by faster setup and very good signals in a house that’s twice bigger than mine. Although Linksys Velop has been working pretty well, I’ve had some issues where it slows down to a crawl at times even though my speed tests are very fast(near 100Mbps). As a person who wants his home network to be fast and flawless, I decided to try out the Google WiFi along with an extra node. Since Google WiFi is much cheaper than Linksys Velop, I got an extra node also. After installing and testing it for almost a week, I am glad to say my home network is much faster and I have more wireless coverage in my house. I think a lot of these systems were not tested in real-life situations (rather open spaces) and in real life, I found that Google WiFi works much better. Although I can’t scientifically prove this, based on my real life experience, Google WiFi seems to route my home traffic much better than the Velop. Also, there are some little things that bothered me with Linksys such as DHCP IP reservation where once I remove it, it will linger in the system and won’t go away whereas Google Wifi worked flawless as I could easily add and remove IPs. Besides that, I feel Google WiFi has much better software as far as routing traffic and the apps also better. I still think Linksys Velop is a good wireless mesh system and on paper it does have better hardware specs. But in reality, I feel like Google Mesh is a better system, perhaps “smarter” is the word. Grab Google WiFi on Amazon here. Previous story Top 5 Reasons NOT to buy Galaxy S9/S9+ over S8/S8+!